I didn’t have any ‘Crown Prince’ seeds left but I did have one of the squash stored from last September, uneaten, so I cut it open to save (and plant) the seeds (and of course cook the flesh). I was amazed at how fresh it was inside considering it’s been sitting on a window ledge looking pretty and drying out. The seeds were washed and laid out on a plate to dry, I only saved a few but on drying half have cracked so it’s worth starting with quite a lot more than you plan to keep. The seeds need to air dry for about 1 week before being packaged up and stored in a cold dry place. I am growing to same varieties as last year, with the addition of ‘Dill’s Atlantic Giant’ and ‘Mariana di Chioggia‘ which is covered in a warty green skin – I’ve discovered I rather like the ugly looking ones! I love how the seeds give a good indication of the final fruit size. Once the weather has warmed up the plants will be potted up into huge containers bought from The Garden Superstore (as per last year), I mainly have 125 litre pots but I am going to try the smaller squash (‘gem’ and ‘sweet dumpling’) in smaller pots and see how they go. I will remove the top foot of soil and replace along with some manure before planting out. For now the seeds need soaking overnight and planted 2 per 10cm pot indoors. The seeds are pushed about 1 inch deep and left to germinate in a warmish spot covered in plastic and kept moist, if both seeds germinate I’ll remove the weakest (the seeds are pushed in vertically to stop them rotting, doesn’t matter which way up). You can’t plant them out until June and once going they grow quickly hence not starting them until April, unless you are impatient like me! They do need a long growing season so they most be on the go pretty early in our UK climate. This entry was posted in vegetable garden and tagged container planting, pumpkin, squash. Bookmark the permalink. Oh I feel quite silly as I’ve only just stumbled across your gardening blog, and how I love it. As a keen vegetable grower an allotment holder I’m going to love following your, what looks like very fruitful goings on. Very jealous of your squashes and pumpkins as ours didn’t grow much bigger than apples last year. I’m also very late on our seed sowing difficult with 3 under fives but enough excuses!! Maybe I should spend less time reading other peoples blogs!! – but then again I think they keep me sane. Hellloooooo! Not sure many folk know I have a gardening blog as well, it’s a bit dull unless you are a grower as it’s mainly lists with a bit of cooking. 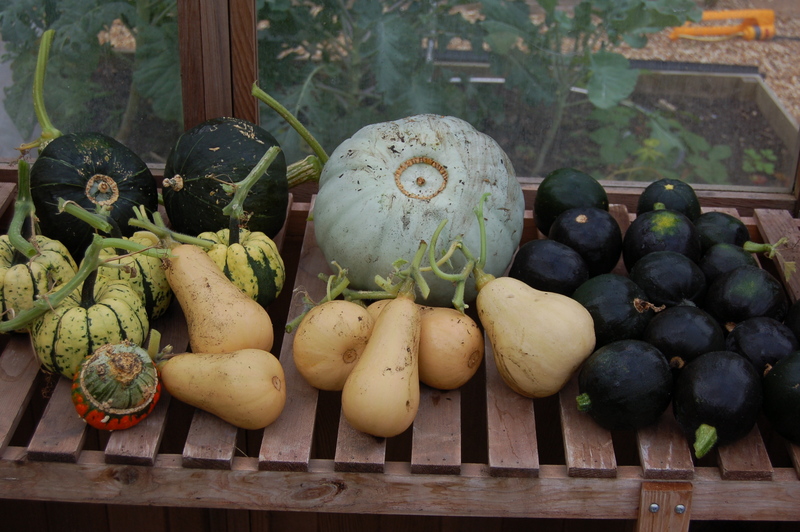 Last year was my first growing Squash and I was pleased, think our Southern climate helps but I also only aimed for 1-2 squash per big plant and the butternut never really grew very big and the Turks Turban was tiny! I am way ahead on seed planting and may come a cropper as they will probably get leggy waiting to go outdoors, I take my hat off to you even trying with 3 under fives! 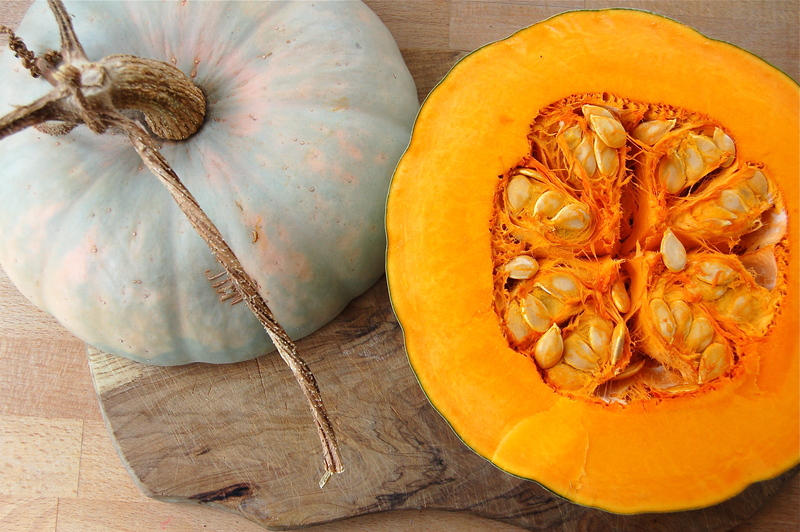 Beth – do you always soak your squash seeds before sowing them? What does soaking do for them? Hope you are all well. Yep, I always soak them and I do the same for courgette seeds, it softens them a bit (I believe) and makes it easier for them to germinate (I do the same for other tough coated seeds such as sweet peas). 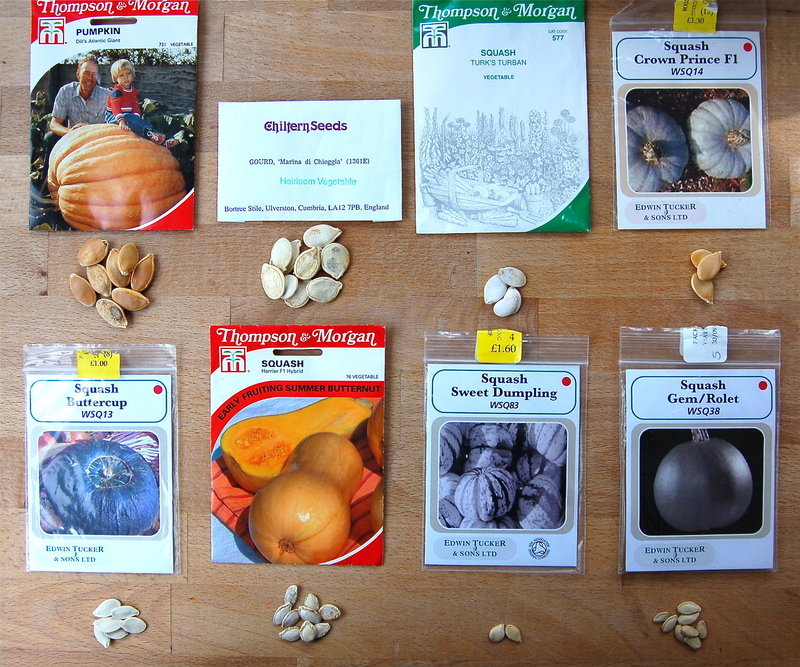 I read that you can also file the long edges of squash/pumpkin seeds to help them germinate (!?) seems a bit of a hassle to me. Putting mine on the floor, on top of the underfloor heating seems to have worked as well, as some have already sprouted and last year I struggled to get them going.